Below is a list some of the best contemporary bookcase we can find. 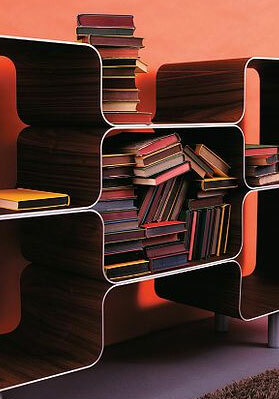 Contemporary Bookcase called the "Hive"
This is such a great bookcase which I found just when look at the Conran site.. I'd be very tempted if I had a spare £3,095.00. More and more to come soon. Bookcase are our main theme for this page. With have selected some of the best contemporary bookcase we can find.